The UK’s largest press regulator will not investigate a “bizarre” complaint against a South London newspaper over its characterisation of right-wing political party For Britain. Ian Baxter, who describes himself as an “anti-Islam practices campaigner and supporter of For Britain” on “free speech” social network Gab, complained to the Independent Press Standards Organisation about three articles published by News Shopper in June. “Muslim man target of abuse at Lewisham East by-election hustings”. 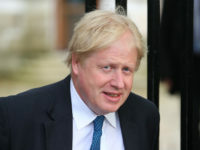 Baxter complained that News Shopper had breached Clause 1 (accuracy) of the Editor’s Code of Practice by describing For Britain as a “minor” political party. 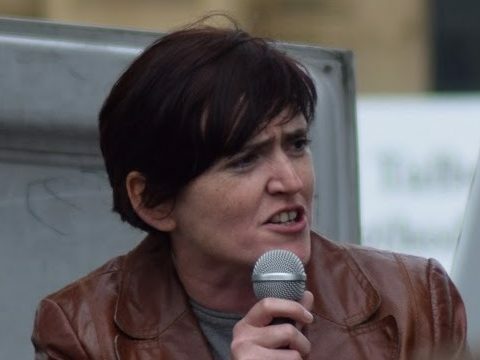 He also claimed the Newsquest-owned title breached Clause 3 (harassment) of the code by not mentioning individuals who had supported For Britain founder Anne Marie Waters (pictured) at a hustings in June ahead of the Lewisham East by-election, in which she was standing as a candidate. Baxter said the supporters had been omitted from News Shopper’s reports, while others who wished to “no-platform” Waters at the event were included. IPSO this week wrote to Baxter and News Shopper to inform them the complaints had not raised a possible breach of the code. In an article for the News Shopper, the title’s web editor, Simon Bull, said the complaint from Baxter was “bizarre”. He shared a letter IPSO sent to Baxter, which the News Shopper also received, addressing the complaint. It read: “You said that these articles were inaccurate in breach of Clause 1 (accuracy) because they described Anne Marie Waters as representing ‘controversial minor political party For Britain’. You said that the use of the term ‘minor’ was subjective and misleading. On the harassment complaint, IPSO told Baxter: “You also said that the articles breached Clause 3 (harassment) because they referred to individuals who had supported the campaign to no-platform Ms Waters, but not to individuals who supported her presence at the hustings. “This concern appeared to be best addressed under Clause 1 (accuracy): you were not suggesting that the publications have harassed Ms Waters in the course of producing the articles. “Publications have the right to choose which pieces of information they publish, as long as this does not lead to a breach of the code. Press Gazette reported last month on a Twitter argument between supporters of For Britain and the News Shopper. The dispute originated over whether or not Waters had responded to the publication’s request for a comment when reporting on local opposition to her candidacy. Parkes called the spat, which descended into name calling on both sides, “a bit silly”. Waters came seventh out of 14 candidates in the Lewisham East by-election on 14 June, receiving 1.2 per cent of the vote. The vote was won by Labour.